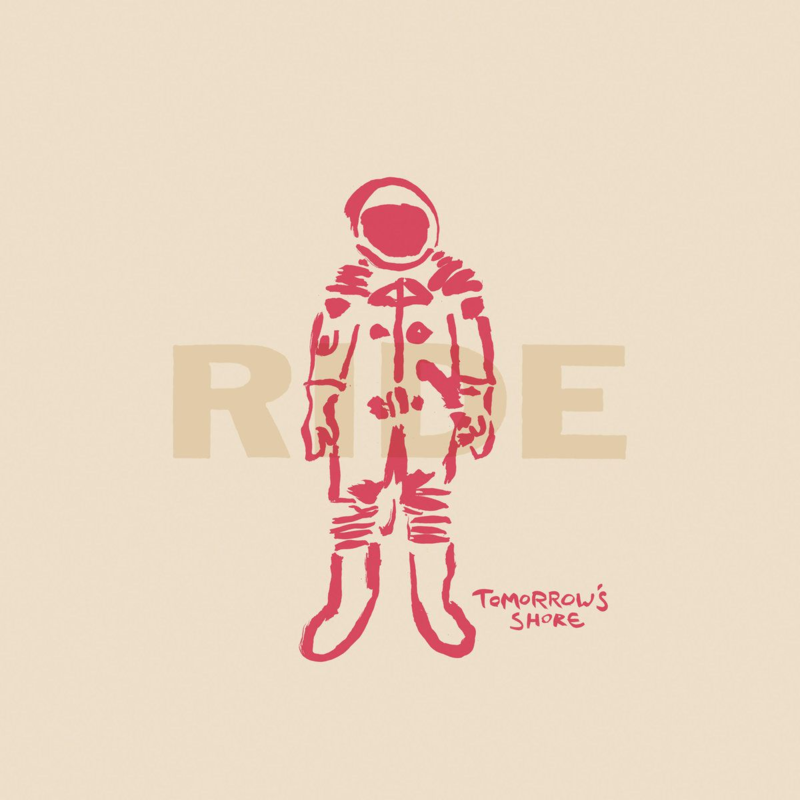 Last year Ride released their fifth album Weather Diaries. It was their first album in 22 years, since Tarantula, which was released as the band dissolved. Now the band have issued a new four-track EP, Tomorrow’s Shore – in which they continue to work their magic. It’s pretty fitting that this should be an EP. After all, released around their debut LP there were four stunning EPs (Ride, Play, Fall and Today Forever) which were – and remain – stunning releases in their own right. By the end of 1994 pretty much everyone on their original record label, Creation, had been eclipsed by the arrival of new labelmates Oasis – but tellingly, they too released singles (usually four track ones) that formed complete packages. Nearly a year on, a listen to Weather Diaries confirms that it really was a return to form, to the essence of their first two albums – but moving forward, rather than trying to cling to past glories. Tomorrow’s Shore stands on its own terms, whilst forming a companion piece. Partly this may be the decision to work with both Alan Moulder (who produced their first two albums Nowhere and Going Blank Again) and Erol Alkan again. It makes for an extremely satisfying listening experience. Opening with ‘Pulsar’ it is striking that while the term shoegazing was coined because of bands staring at their feet (because of all the foot pedals, duh), this seems to be music that reaches for the stars. Even if lyrically it talks of returning home from another star. It’s fuzzed-up and fabulous, and explains the astronaut on the cover. ‘Keep It Surreal’ is reminiscent of New Order’s first two LPs. ‘Cold Water People’ is perhaps the weakest of the four tracks, not helped by the early part of the track sounding deliberately – and unnecessarily- out of tune. It does get better (and back in tune) in the second half of the track. The EP closes with ‘Catch You Dreaming.’ A few plays of this track reveals it to be a Ride epic in the vein of ‘Leave Them All Behind,’ ‘Vapour Trail’ or ‘Today.’ It’s got perhaps the perfect shoegazing title, and it’s something to lose yourself in. One of the best tracks of the year so far, in fact. It’s worth finding the twenty minutes to appreciate this release. On this evidence, Ride have the ability to carry on making great music, and it’s a comeback that continues to be worth it. Let’s hope we hear more from them soon. I love Cold Water People, one of the best things they’ve done since they reformed. Great EP all round and wish they’d waited a while longer to release the album – put these tracks on it & remove some of the filler & you’d have a classic.